Homes for the Homeless’ Milk from the Heart program provides milk to low-income families in New York City from mobile distribution centers in the Bronx. The program emphasizes the importance of providing children with the proper nutrition to grow up strong and healthy, while helping low-income families meet these nutrition requirements. 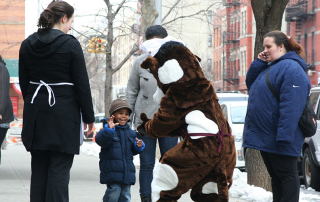 To find out more, visit http://milkfromtheheart.hfhnyc.org.